This gorgeous silver bracelet is perfect in every detail. 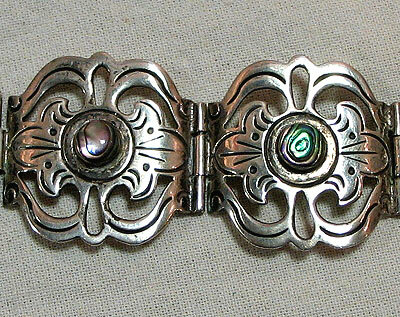 Hard to see in the images, but each abalone piece is a slightly different iridescent color. 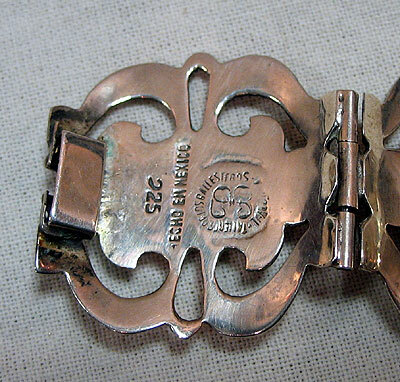 The bracelet dates from the mid 20th century and is 7" long.